By Melissa Lennig on January 4, 2013 21 Comments. This content contains affiliate links. As an Amazon Associate I earn from qualifying purchases. 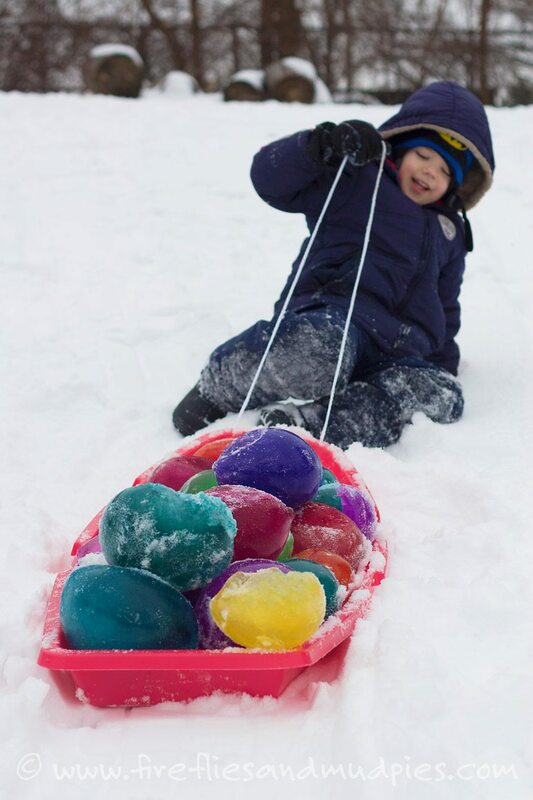 Have you ever froze Ice Jewels with your kids? 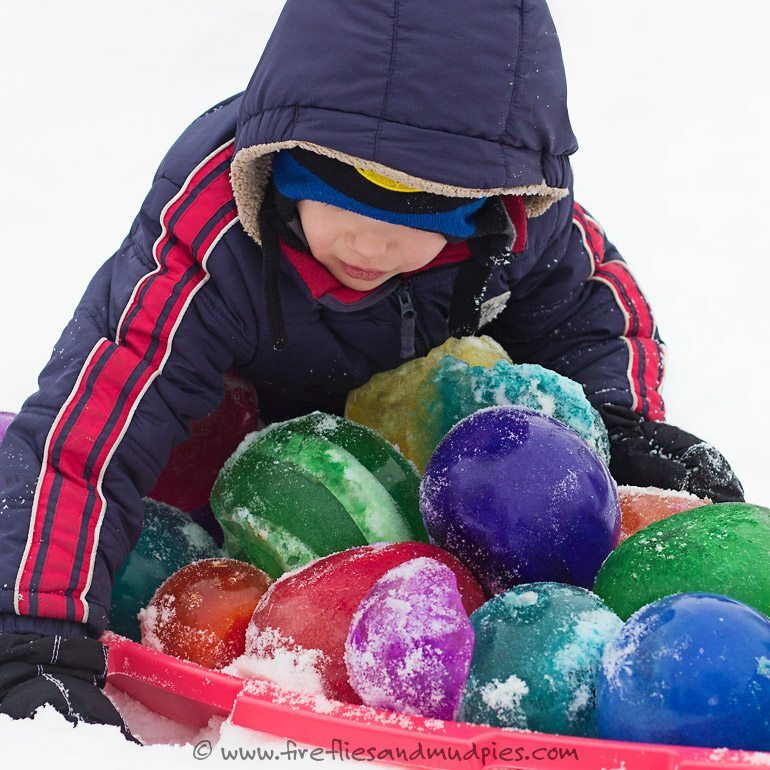 They are simple to make and perfect for winter imaginary play! We started by filling regular sized balloons with water and liquid watercolors. We placed the balloons outside to freeze overnight. The next morning, the boys and I went outside to check them. Much to our delight, the balloons had split and slid off of the ice. The boys got down to the business of playing right away! 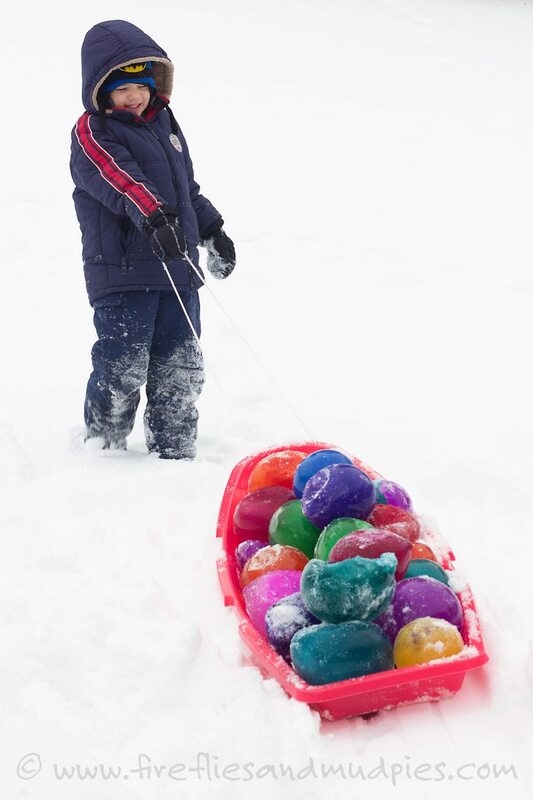 To make your own Ice Jewels, drip several drops of food dye or liquid watercolors into balloons, then fill with water. Tie and rinse the balloons, then place them outside (or in a freezer) overnight. Please note that as your children play, a small amount of liquid watercolors may get on their mittens. Ice Jewels will keep as long as temperatures stay cold! 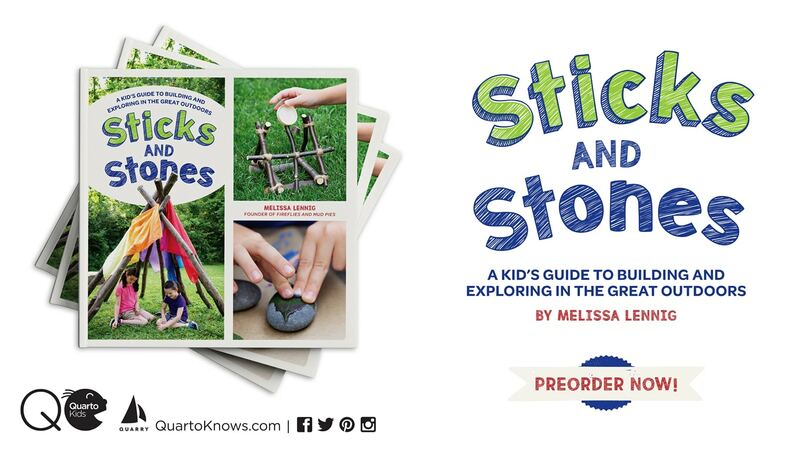 My children enjoyed theirs for a long time! My kids enjoyed pressing the ice jewels into their snow fort. They looked like bright holiday lights in the sun! They also liked towing them through the yard on their sleds. My oldest pretended that he was a dragon, hoarding jewels in his lair. My little one tried to steal them, and ohhh how the dragon would R O A R ! 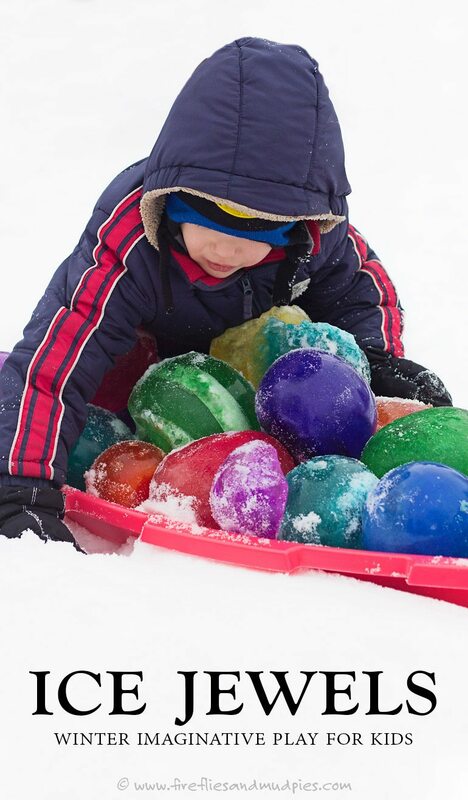 How do your children like to play in the snow?